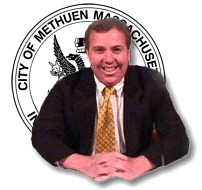 With Methuen’s City Council prepared to set a “tax rate” at the December 6th meeting, it was an opportune time to discuss the process, tax classification, and general budgetary matters. While the Mayor’s recommendations were not yet available at press time, Methuen’s budget does call for an increase in the “tax levy”, and some press reports have taken that “tax levy” number and attempted to correlate it to what the average residential homeowner may be faced with in the way of an increase. However, until such time as the City Council makes a decision on tax classification, and the assessor submits property values, such an attempt to make this correlation is likely to be flawed. The “tax levy” is simply the amount of revenue that the municipal budget antic-ipates raising from the property tax. Since a balanced municipal budget is mandated by law, and since the tax levy revenue estimate contributes to that balance at the beginning of the fiscal year, any attempt to lower the “tax levy” at the time of the setting of the tax rate would create a deficit. Consequently, absent additional revenues or a decrease in expenses, the City Council is bound by law to raise sufficient revenue through the levy to balance the budget. As the City Council prepares to adopt such a tax rate it must also consider the potential for a shift in the burden from residential homeowners to commercial taxpayers. Such a shift is allowed under so-called “classification”. Classification allows a greater share of the overall tax burden to be borne by business, thereby shielding the residential homeowners from some level of property tax increases. While the concept may appear to be unfair to business, property values play a role in such a determination. As an example, Methuen has recently seen a decrease in property values asso-ciated with business, while residential values have risen dramatically. Under conditions where all such property is treated equally, the end result could be a decrease in overall property taxes for business, and a corres-ponding increase for residential home-owners. Classification helps us to smooth out those potential inequities. We re-main cognizant in Methuen of the need to continue to attract business, and on that basis we have tried to strike a delicate balance on classification. Methuen has a solid record with regard to attracting business, and our tax policies will continue to promote business expansion that helps to lower our residential tax burden. As we move to set the tax rate that determines your residential bill, the values established by the assessor are critical. How you are treated on an individual basis is determined by the value set on your property by the assessor, who is mandated by state requirement to assess at 100% of value. Since each property has the potential for unique characteristics, it is never possible to truly say what each individual homeowner may face in the way of property tax, even in a situation where the tax levy remains constant. Without question, such uncertainty is a flaw in the property tax system. While setting a property tax rate is not rocket science, there are several layers of thought involved and key political decisions that need to be made. As we move forward in Methuen, I am proud to say that even with the building of three new schools, and the investment in a brand new library we have never faced an override of Proposition 2½ or a debt exclusion for these capital projects. We should remain a couple of million dollars below the Prop 2 ½ levy limit, which is a testament to sound financial practices by the City. Despite the fact that our tax burden compares favorably with other municipalities, the property tax imposes what I consider to be an unfair burden on the elderly and fixed-income residents generally. The essential unfairness of the property tax (not a tax based on ability to pay) has led some to call for real tax reform, with some portion of the existing municipal cost structure (such as education) being shifted to a broader-based tax. Education reform in Massachusetts was designed, at least in part, to lessen the reliance on the property tax for local educational expenses. Is it now time to take that concept to the next level? Food for thought, and maybe the subject for a future column.